Manchester United are believed to be looking for a left-back, despite having Ashley Young and Luke Shaw in the squad. And reports state that the club has held talks with one of their chief summer targets. Young is approaching the final stages of his career, and Shaw’s own future continues to look bleak under Jose Mourinho. But the youngster does have a chance to showcase his mettle in the pre-season and also going forward into the season. 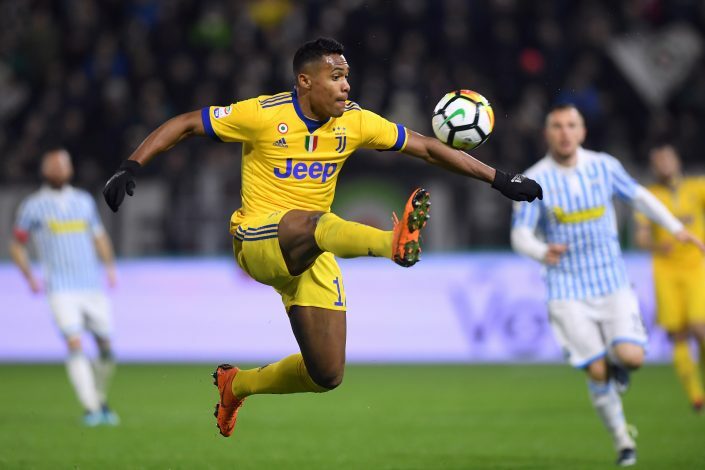 However, Mourinho doesn’t intend to take any chances, and according to The Sunday Times‘ journalist Duncan Castles, United have reached an agreement with Juventus left-back Alex Sandro, after holding talks with the player. But the move isn’t finalised just yet, as Sandro is also looking at other options, with Paris Saint-Germain also in the mix. The French champions are interested in the Brazilian as well, and could offer him huge money. Sandro is expected to get a mammoth sum in terms of wages compared to what he is currently being given by Juve. With both United and PSG in the scenario, a bidding war could certainly be expected. The report also adds that PSG are in touch with the player as well, and are negotiating a move at the moment. Therefore, it remains to be seen how the deal pans out. Sandro made 39 appearances for Juve last season, scoring 4 goals in return. The former FC Porto player has experience besides having some great qualities that could bolster any side. With Matteo Darmian likely to exit the United door in coming time, Sandro could be an ideal signing for the Premier League club.